Amp up your professional style with this Womens Red Short Sleeve Polo Shirt! This Calgary Red Venture Short Sleeve Polo is the perfect way to show off your team pride to your coworkers. 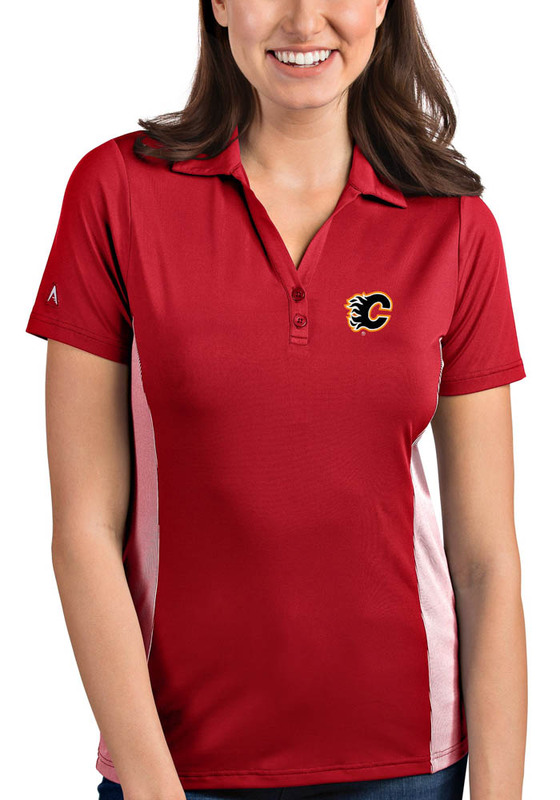 Look good in this Calgary Flames Short Sleeve Polo, which features a Calgary Flames logo on left chest. 95% polyester/5% spandex Desert DryTM moisture wicking jersey knit short sleeve polo with solid front panel and sleeves and yarn dye mini-stripe side insets and back panel. Solid self-fabric collar, open cuff, and 2-button “Y” placket.